France is defined by claims of uniqueness made by or about the French. 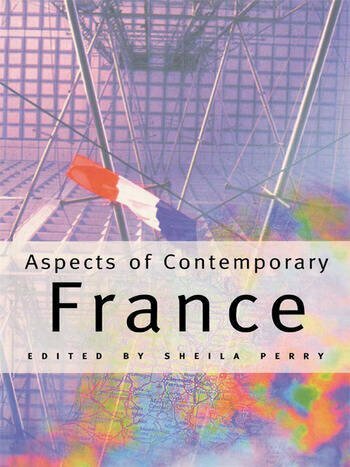 Aspects of Contemporary France illuminates the contemporary economic, cultural, political and social climate of France. Using a multidisciplinary approach, this book explains the historical background to controversial issues. It also traces France's road to nationhood through religion, language and territory. The book also offers a helpful chronology at the end of each chapter, a detailed bibliography and a recommended reading list. Aspects of Contemporary France presents an analytical as well as informative appraoch to French Studies. It provides a readily accessible but in-depth understanding for students of France or French civilization at undergraduate and postgraduate levels.